A wonderful description of a book. I’ve seen this posted a few places. So true–a wonderful quotation! Ah, my soul was touched! Thank you! Carl Sagan for figuring out the essence, Beth for bringing it to us, and writers from thousands of years for filling our heads with these treasured squiggles! What an amazing thought. People speaking to you from across the years and the miles. Incredible. And along those lines, a wonderful new book for children is out that I cannot wait to get my hands on! YES YES OH MY GOSH YES! Oh absolutely! Magic is always there with a book! 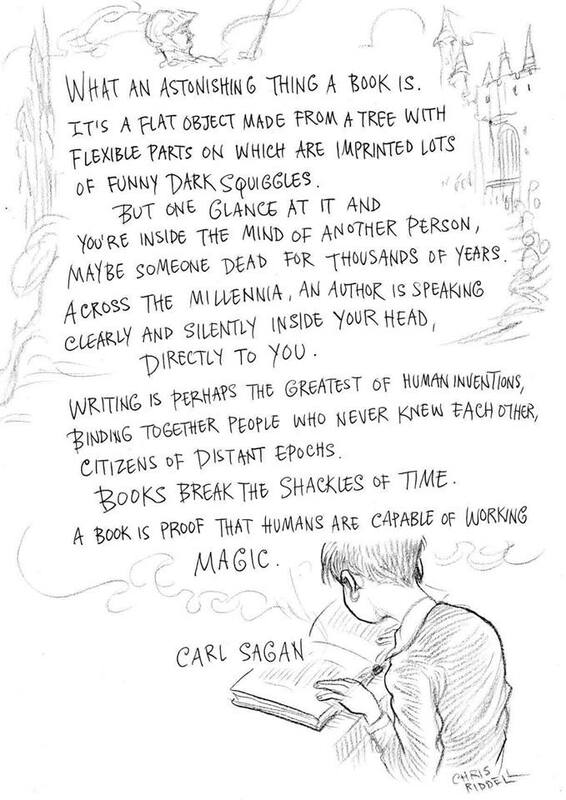 Brilliantly said by Sagan.